As DeathCare Experts, we hope to empathize with the pain of parents who mourn the loss of their little angels by taking the financial responsibility off their shoulders. We give them the memorial service for free. 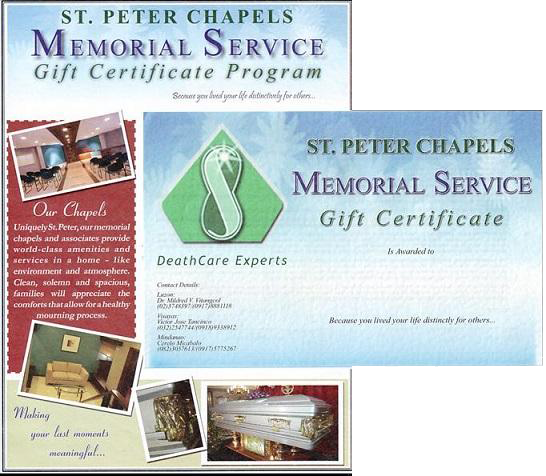 St. Peter Chapels awards exclusive St. Peter Memorial Gift Certificates to church leaders, parish priests and other notable individuals in honor and recognition of their selfless acts of goodness. 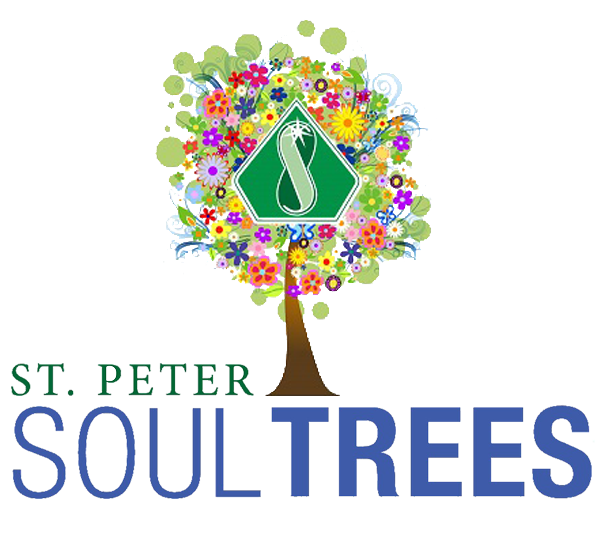 In cooperation with Green Earth Legacy Foundation Inc. (GELFI), Soul Trees is one of the environmental programs of St. Peter Chapels. The St. Peter eBurol is the FIRST online 24-hour real-time viewing facility in the Philippines. Families and relatives living abroad or in far reaches of the country can now be virtually part of the wakes of their departed loved ones at St. Peter Chapels. We also offer FREE Wi-Fi access for the convenience of our valued customers. 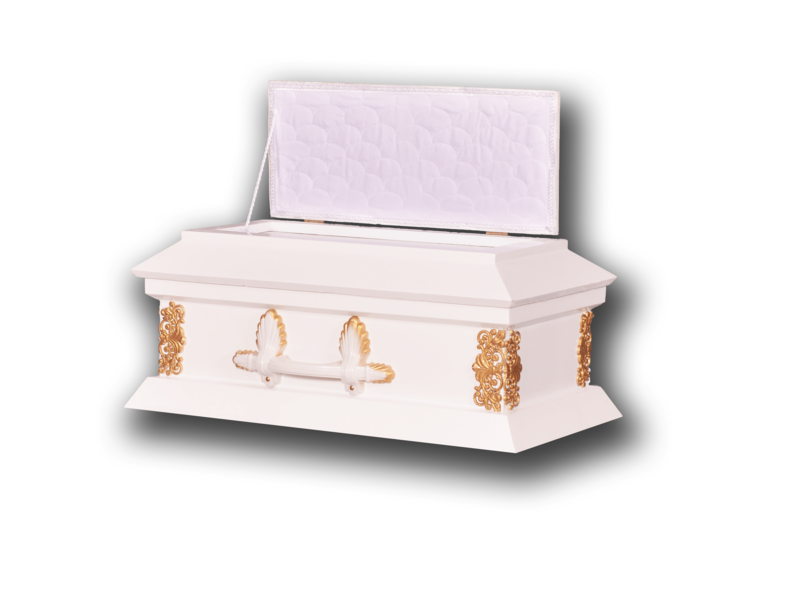 St. Peter eBurol is a free complimentary service which allows friends and relatives to access the wakes of their loved ones via the Internet. The video from a camera in the chapel can be viewed anywhere in the world by connecting to the official website of the St. Peter Group of Companies (www.stpeter.com.ph).